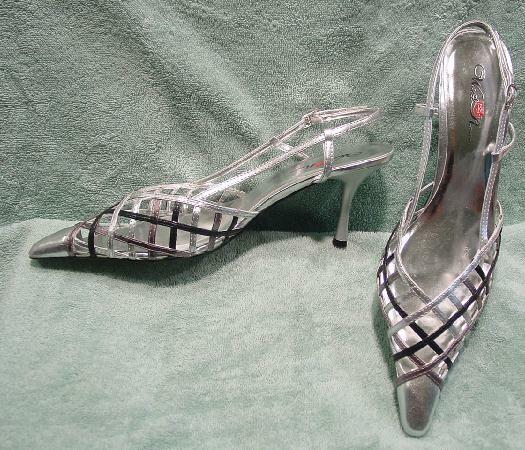 These silver lame slingbacks are all manmade materials and are by Wild Rose. They have elongated pointed toes in silver lame and below that are crisscross straps in silver, black, and bronze. There are silver lame linings. They were worn once, for a photo shoot.